I am a freelance website designer, developer and consultant with strong marketing skills; I work with individuals and businesses to develop your online presence. Currently I live and work in Beckenham, Bromley on the borders of South East London and Kent. Elaine and I have been married for 22 years, our 19 year old daughter, Kirsty is at University in Bristol and we have a 13 year old son named Max. Among the things that I really enjoy doing are my daily workouts, I am a firm believer that a healthy body promotes a healthy mind and there is no better way to start the day than a good workout. I also love listening to ska music and Bob Marley. Using WordPress and the Genesis Framework I design for the web creating unique & functional websites, building anything from simple blogs, brochure websites, ecommerce websites and more. 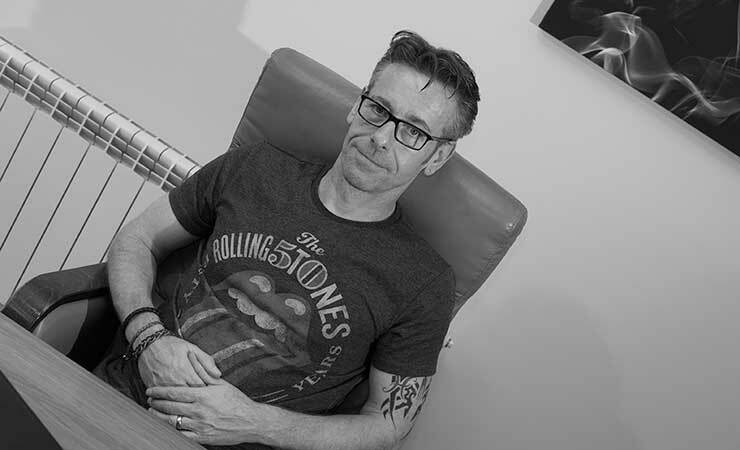 My services combine all manner of online and offline projects including marketing strategies, web design & development, SEO, content marketing and branding. What seems like a lifetime time ago, in the 1980’s I designed company logos, brochures and stationery. An excellent education in brand identity and in how something so simple, your logo, has to say so much! I began my online journey in 2004, I was a founding partner and director of an ecommerce retailer in the home and garden sector. This is where my affection for WordPress began, although our ecommerce site was initially built around Actinic and then Magento, our micro sites and blogs were all built with WordPress, at its core the WordPress CMS (Content Management System) is kept up to date with the latest technologies and optimised for Google! combine this with the Genesis Framework and you have the perfect base for any website. I like to think of myself as more than just a website designer, when we work together we’ll take your initial ideas and my experience in designing for the web to create a website that is well optimised with quality content, easy to use & navigate, is mobile responsive and effectively communicates your brand’s personality and it’s products or services. My services are flexible and crafted with a focus on quality and customer service and I always deliver on time and in budget, No hidden costs! I’d love to hear from you and answer any questions you may have about me and my services.